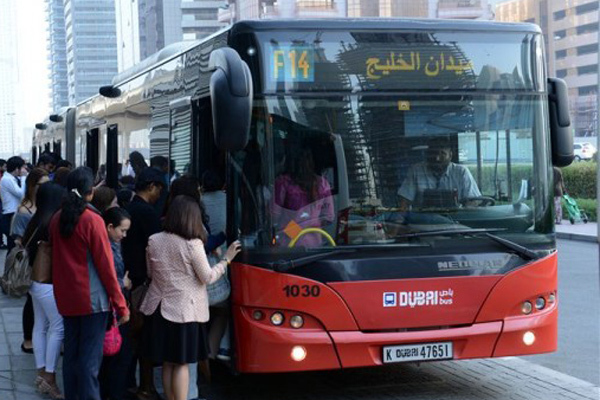 Dubai's Roads and Transport Authority (RTA) yesterday (August 1) launched the 11th edition of the Dubai Award for Sustainable Transport (Dast) featuring two new categories to enhance sustainability. The first category is the Sustainability Ambassador that is dedicated to students who give significant attention to environmental aspects and organise awareness campaigns about sustainability issues associated with public transport. The second category is the Best Academic Institution Supporting Sustainability, which is focused on environmental initiatives run by students in connection with sustainable transport. Dast Organising Committee said the contest is open to all government, semi-government entities as well as private companies, schools, universities and public associations. It has set November 1 as the deadline for submitting entries. "The committee is fully prepared to receive submissions for the 11th edition of the award, which is highlighted by the addition of two new categories," remarked Nasir Hamad Bu Shehab, the chief executive of Strategy and Corporate Governance Sector and also chairman of RTA’s Dast Higher Organising Committee. “Registration in various categories of Dast can be made in simple steps through the award’s website. The online registration saves much time and effort and consolidates the smart government practices of Dubai Government to facilitate transactions for corporate and individual customers with the aim of making them happier,” added Bu Shehab. According to him, Dast has main and special categories. Main categories comprise four awards; the first is mobility management, which focuses on applied practices and initiatives that contribute to raising the efficiency of using various types of mass transit systems. The second is mobility safety, which is concerned with practices and initiatives that contribute to raising the security and safety levels of commuters. The third is environmental conservation, which is devoted to practices and initiatives capable of reducing the negative impact of transit systems on the environment. The fourth is disabled-related initiatives aimed to empower People of Determination and engage them in the community development efforts. “The special categories comprise six awards as well; the first is the Best Academic Research for researchers as well as all community members compiling the best study on sustainable transport; the second is the Best Student Project, which relates to a project developed by students across the UAE in the field of sustainable transport; the third is the Best Media Member, for best coverage of sustainable transport nation-wide and the fourth is the Best Media Team, which aims at identifying the best media coverage of sustainable transport across the nation.